All-in-one efficient bedroom storage solution full of rustic personality. The allure of the French countryside but made for Mexico. One of the challenges of Mexican bedrooms is the lack of closet space. Unless you have a very unique architect, a walk-in closet is not in the cards, especially if your Mexico home is an old colonial. Enter our solution: Beautiful armoires that not only provide great storage but are also gorgeous additions to your Mexico decor. 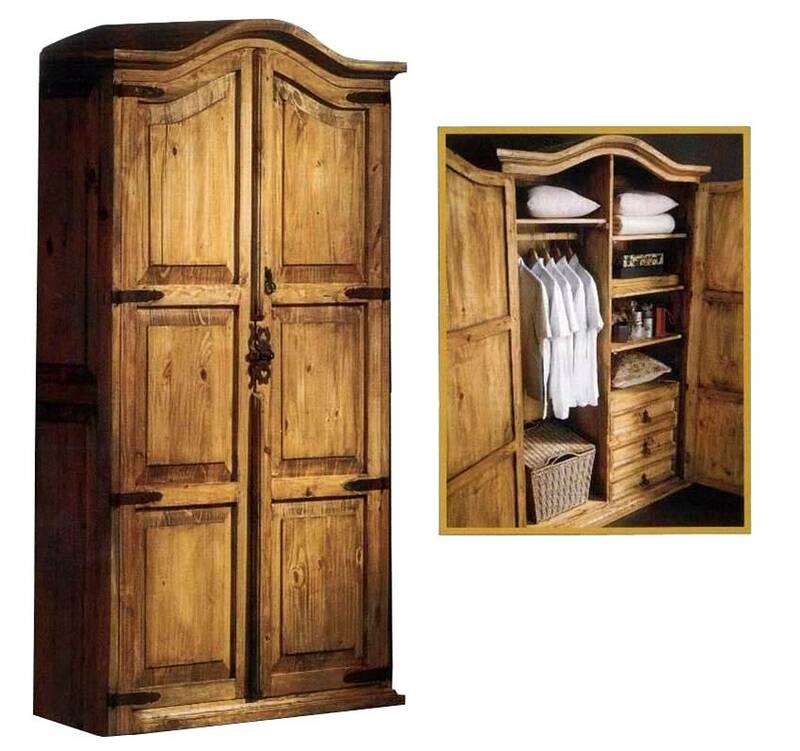 This particular armoire has plenty of room and ample partitions to accommodate your essentials. It's much more than a dresser because of its storage possibilities but also because of the charm and elegance it lends to your bedroom. If you rent your Mexican home, this piece will be a dream come true for your renters. Please note: If you'd rather see this armoire in your dining room, we can re-design the interior to accommodate your dinnerware, glass and flatware. The possibilities are unending!